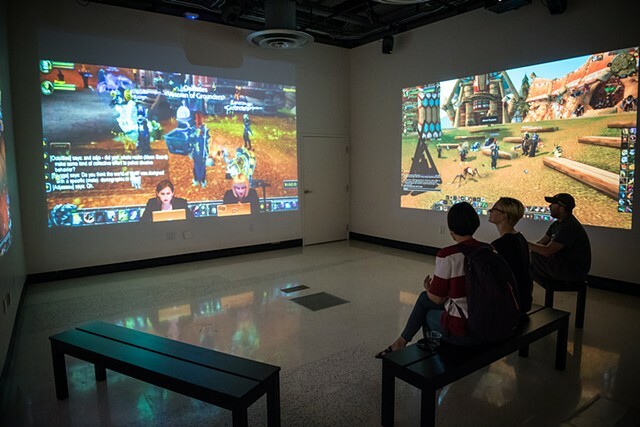 Artist and UC San Diego alumna Angela Washko (MFA Visual Art '15) is featured in a solo exhibition, Performing in Public (Four Years of Ephemeral Actions in World of Warcraft), the fall show in the gallery@calit2 that will continue into early December. 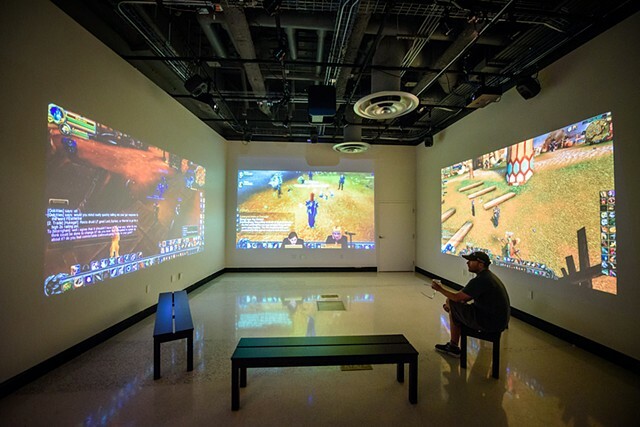 For the past four years, the artist has been creating performances inside the most popular and highest-grossing multiplayer online video game of all time: World of Warcraft (WoW). 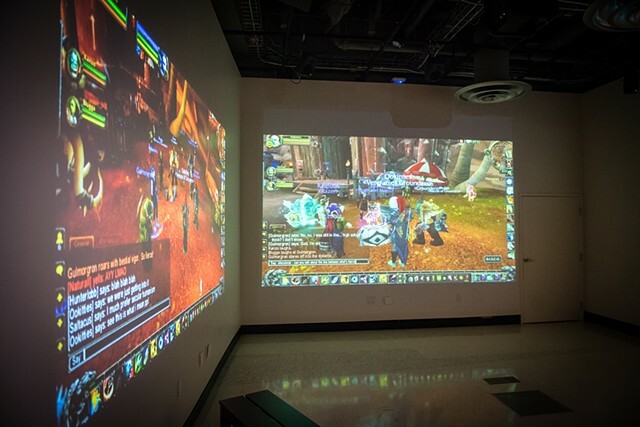 Operating under performative stage titles including The Council on Gender Sensitivity and Behavioral Awareness in World of Warcraft, and The World of Warcraft Psychogeographical Association, Washko says she "began to think of World of Warcraft as less of a game and more as a massive, networked public social space. Looking at WoW through this new lens, I began to create a series of actions or performative gestures responding to both the social and representative 'physical' environment." 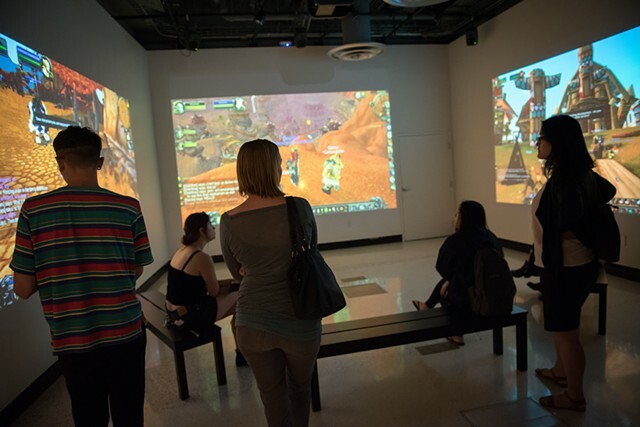 In Performing in Public (Four Years of Ephemeral Actions in World of Warcraft), Washko presents the broad array of actions she created in WoW for the first time as a large body of work. 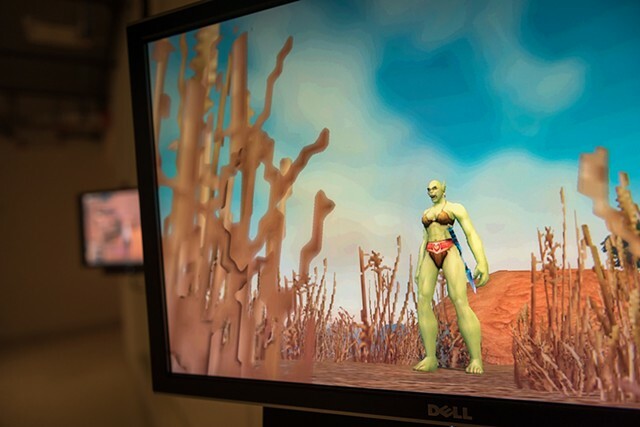 Although individual works from Washko's experiments in World of Warcraft have been presented at venues including Kiasma Museum of Contemporary Arts (Helsinki, Finland), Shenzhen Independent Animation Biennial (Shenzhen, China), Campbelltown Arts Center (Sydney, Australia), Vox Populi Gallery (Philadelphia, PA), Hudson Valley Center for Contemporary Art (Peekskill, NY), Tenerife Espacio de last Artes (Tenerife, Spain) SPRING/BREAK Art Fair (NYC), Vector Game and Art Convergence (Toronto, Canada), University at Buffalo, New York University, Austin Peay State University, Marymount University, Momenta Art (NYC), and Microscope Gallery (NYC), this is the first time that Washko's performative interventions in WoW will be shown in their entirety. 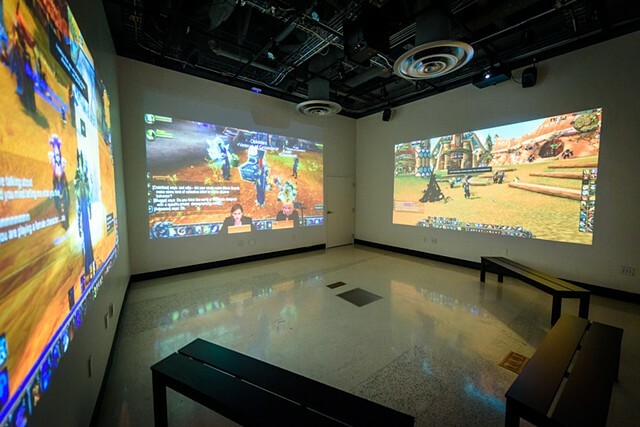 "I've never been able to show all of the gestures I've produced in WoW as one body of work centered on treating the game space as a context for performance rather than a fixed game/tech/digital object," notes the artist. 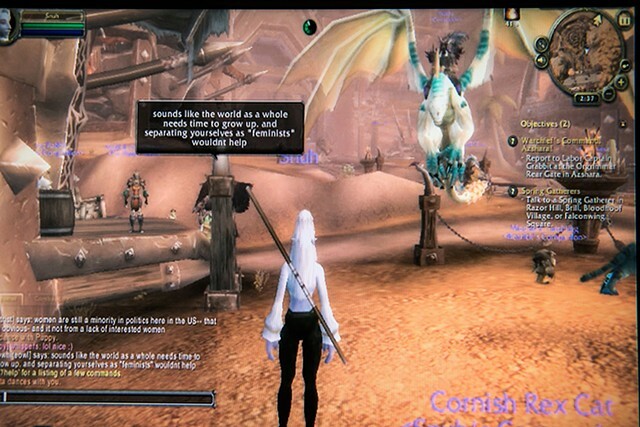 For example, when Washko operated as The Council on Gender Sensitivity and Behavioral Awareness in World of Warcraft...instead of killing enemies and getting increasingly impressive equipment like she had done previously as a player, she started traveling to highly populated areas of the game to create discussions among other players. 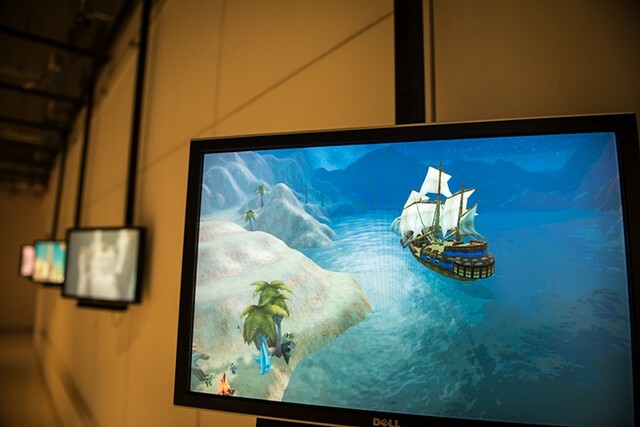 The discussions initially focused on the exclusionary, sexualized and aggressive social conditions women faced within the game space at the time of the project’s inception. 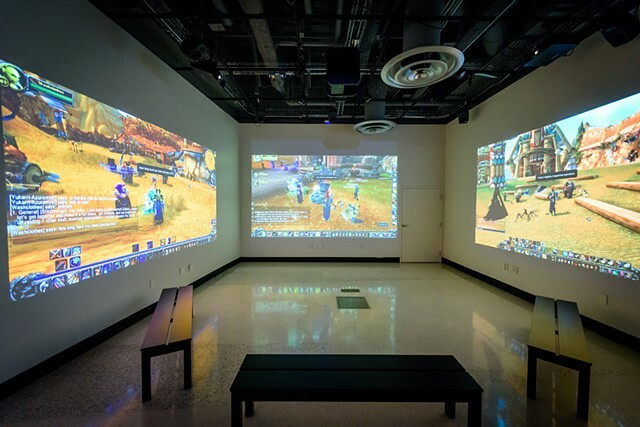 “This led to longer discussions about feminism among a myriad of other unexpected topics with players from geographically varied places meeting together in this virtual but spatial and representative, corporatized public space," adds Washko. 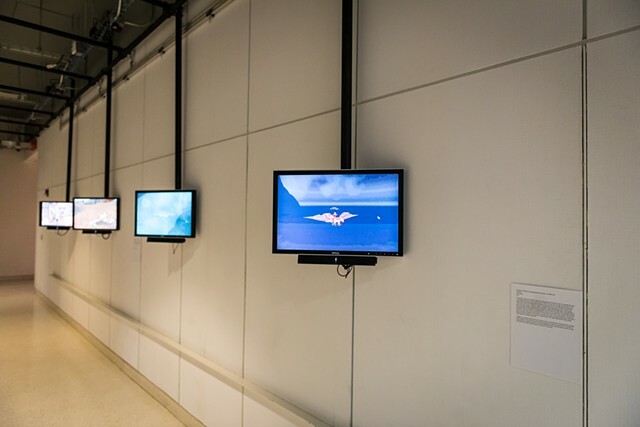 "The conversations I have facilitated are documented and reproduced in videos and images online and presented in both art institution and gaming-oriented contexts." 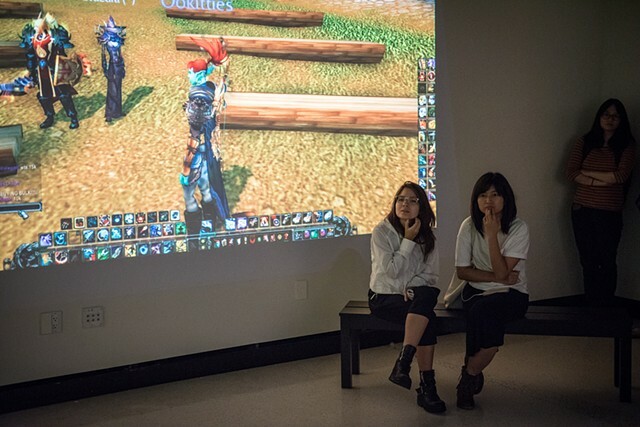 When she assumes the identity of The World of Warcraft Psychogeographical Association, Washko engages in play that is not encouraged or rewarded by the developers of World of Warcraft -- play that involves wandering the landscape in search of ways to interact with it outside of the quests for which the landscape and social culture were designed. "This process has resulted in endurance performances for (physical) live audiences that last as long as 12 hours," explains Washko. "Over the course of the typical day spent as The World of Warcraft Psychogeographical Association, I follow players' paths, encourage players to share with me parts of the landscape they find most interesting, explore WoW’s vast continents, dance with animal AI, avoid engaging in combat, jump from beautiful waterfalls, die repeatedly by ignoring designed limitations, fly to the moon, and contemplate this epic digital world of which much is now completely useless to gameplay and no longer navigated by other players due to gameplay restructuring designed for faster and more efficient leveling trajectories to keep players paying monthly. "